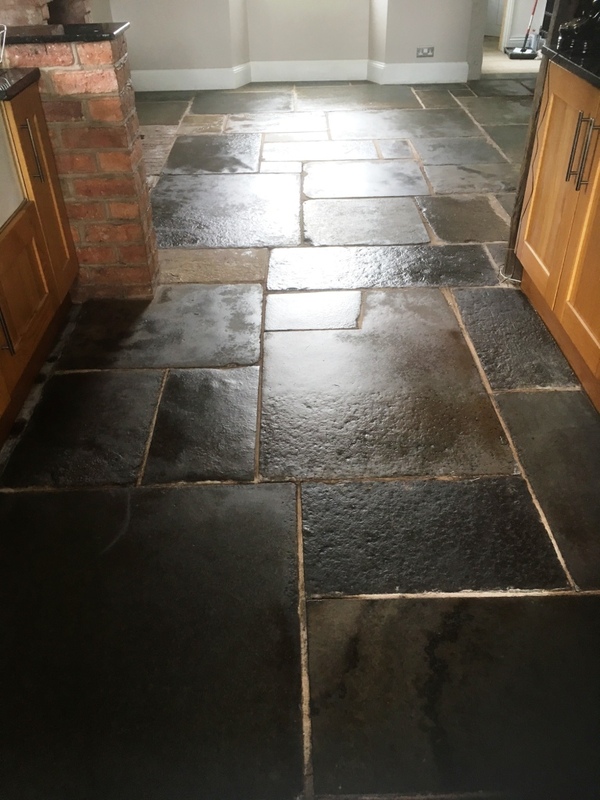 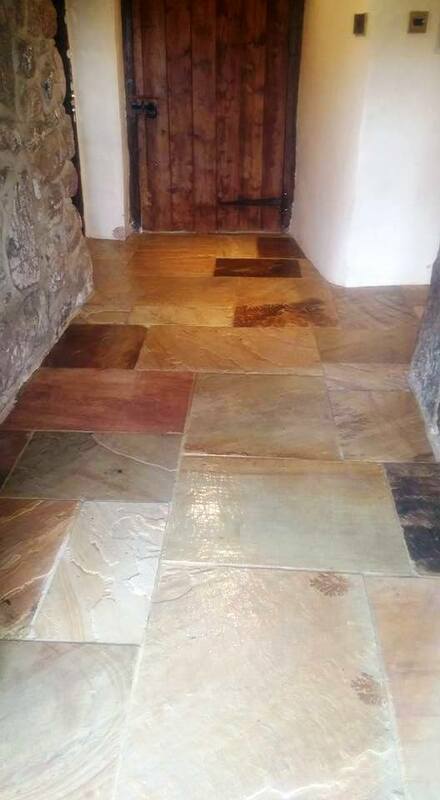 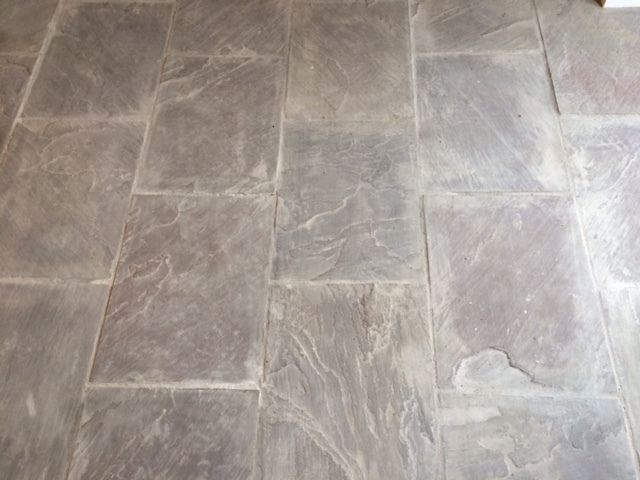 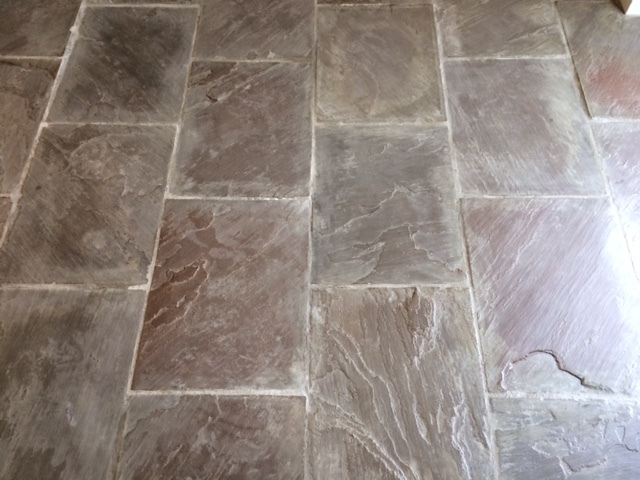 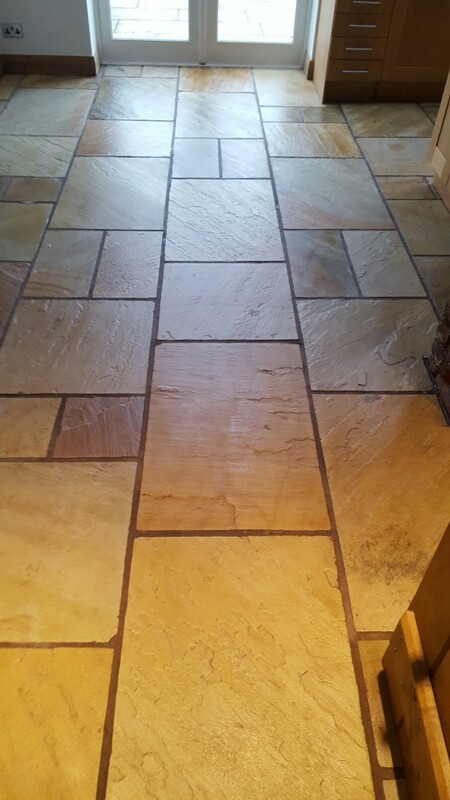 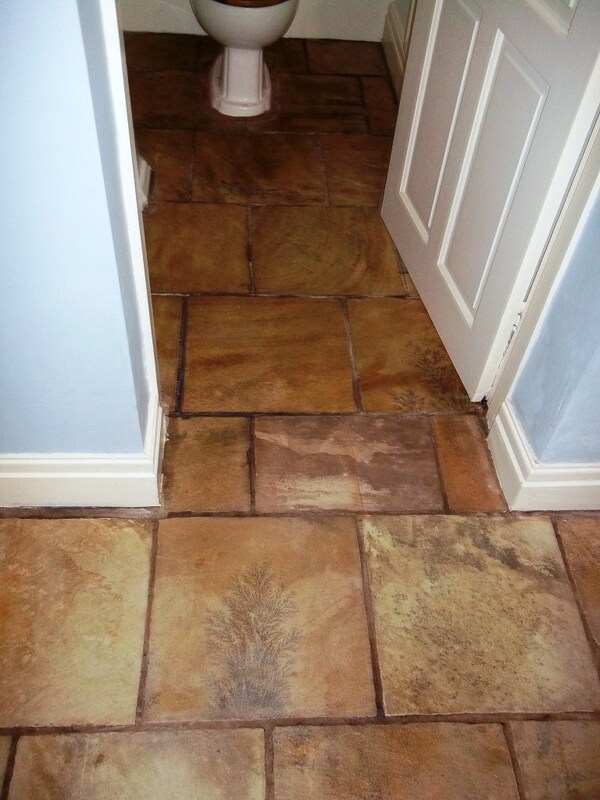 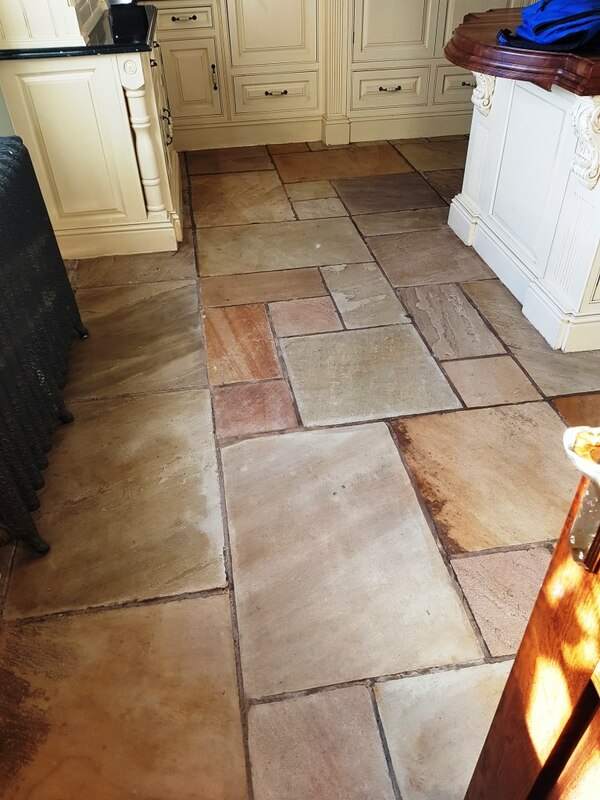 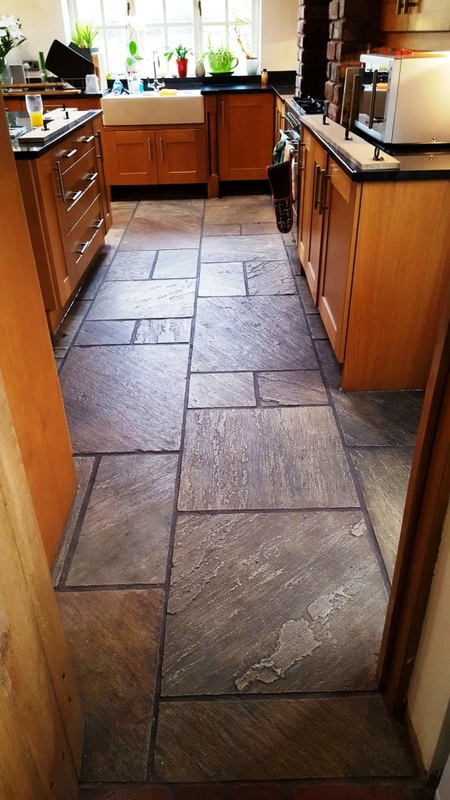 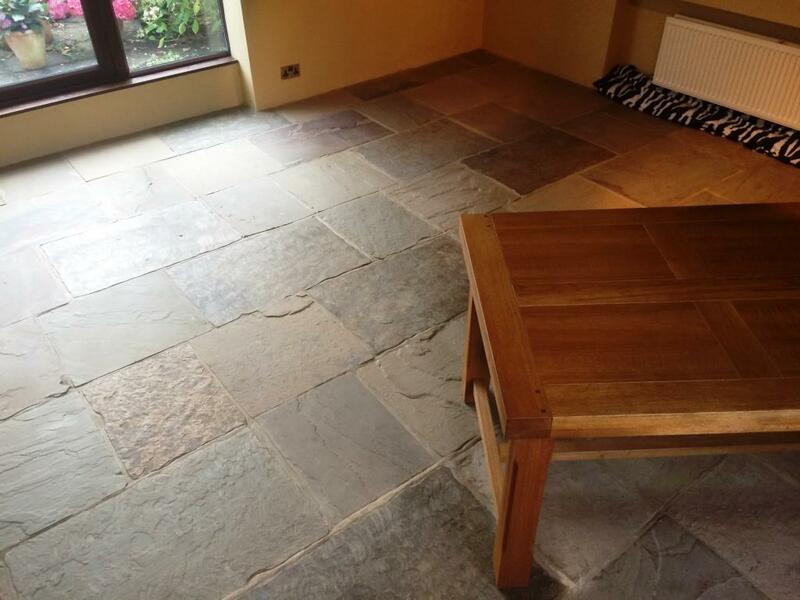 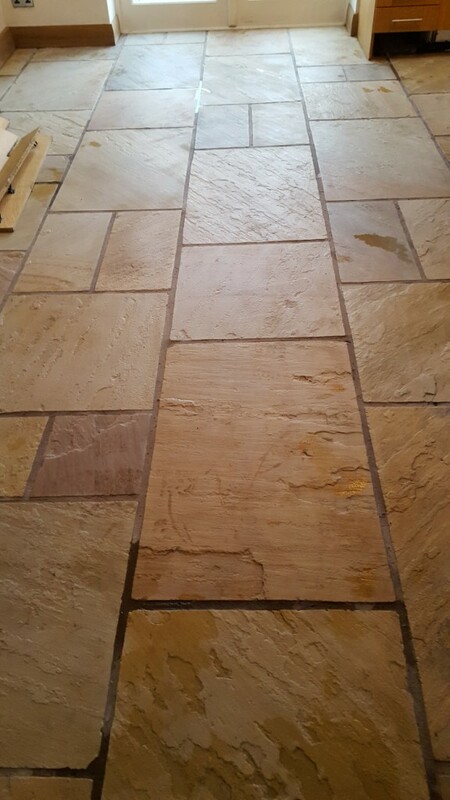 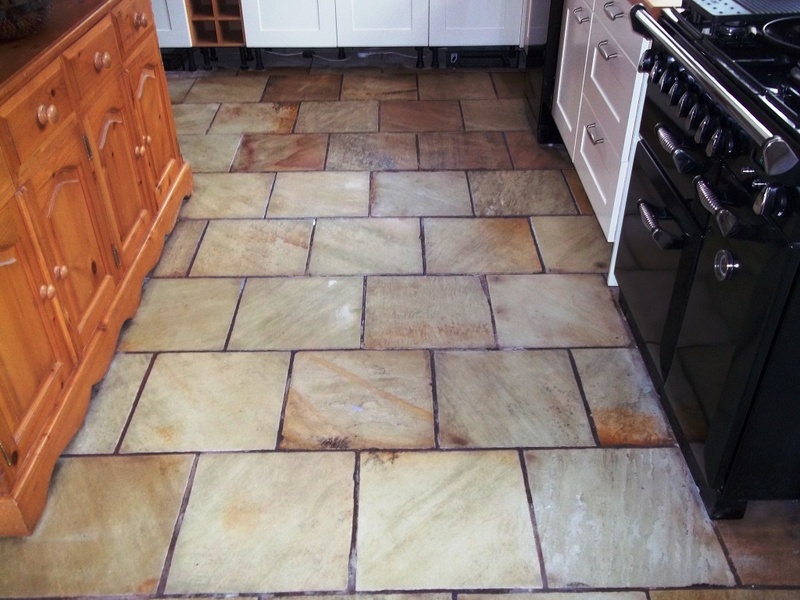 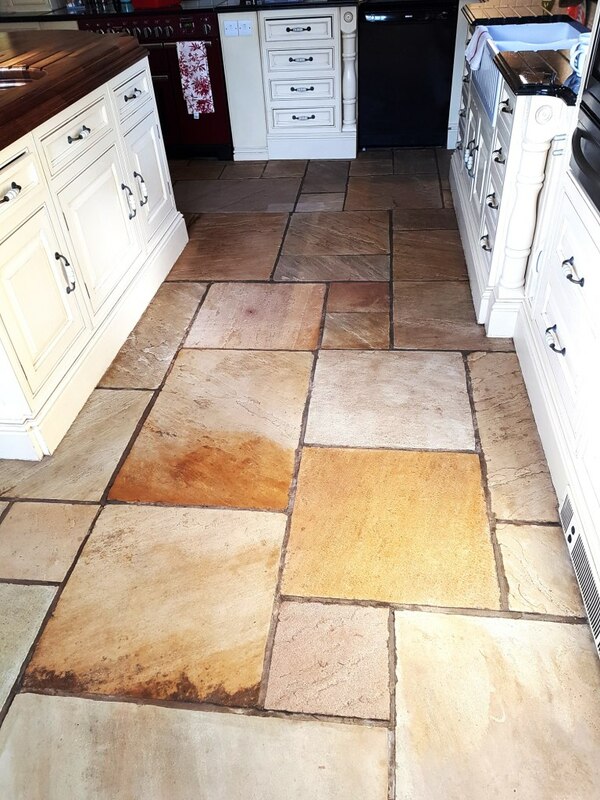 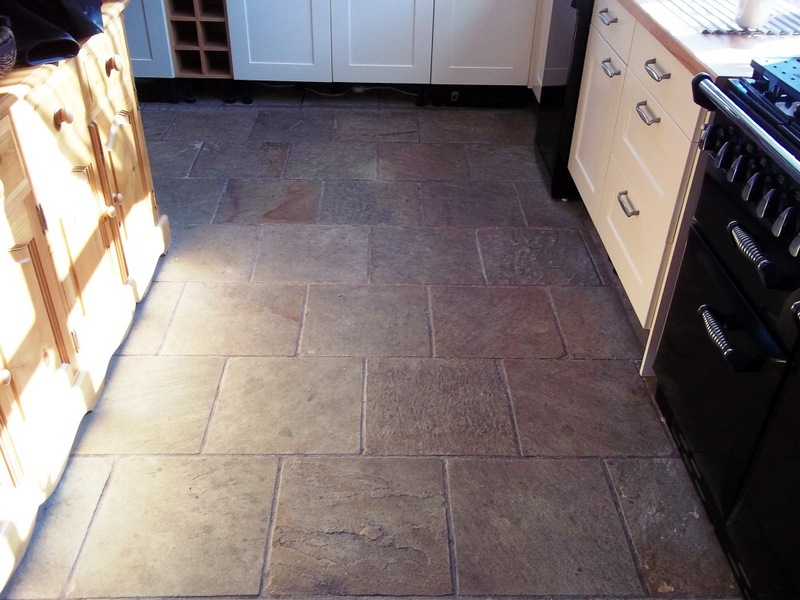 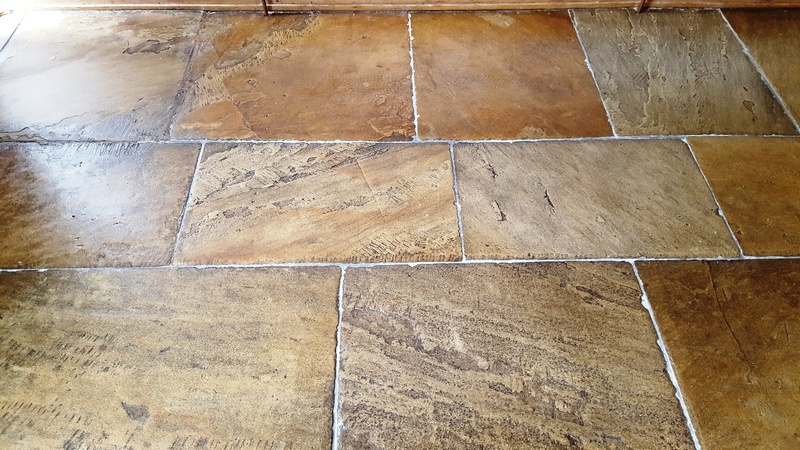 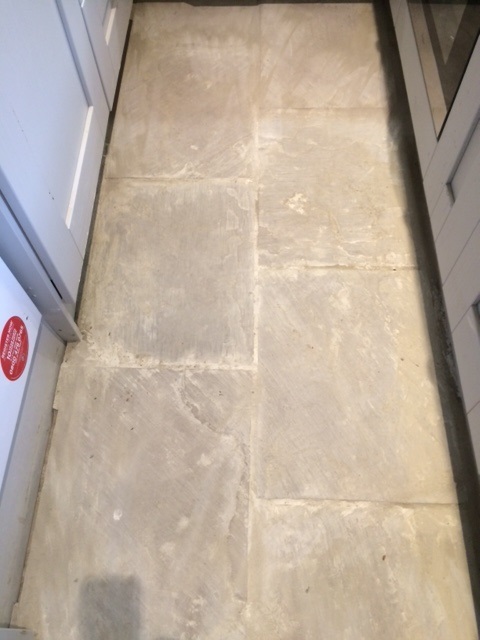 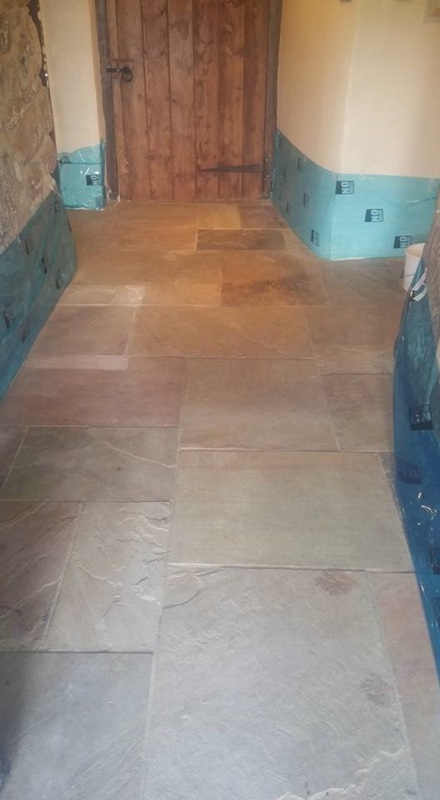 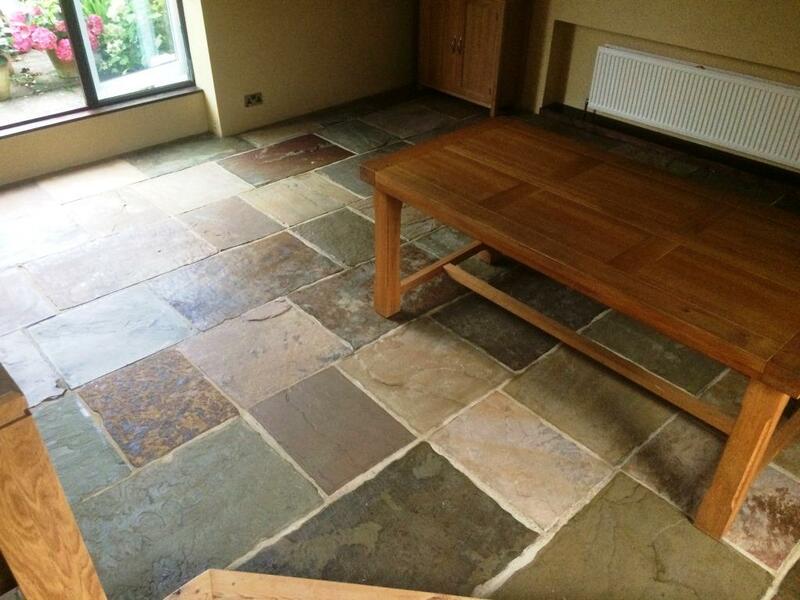 This Indian Sandstone floor was laid in a large Kitchen, utility and WC in a house in Prestbury, Cheshire. 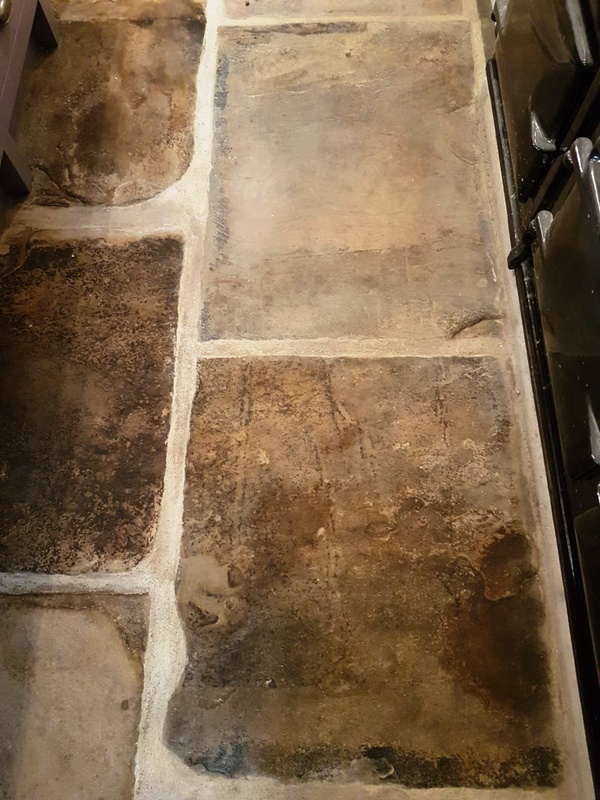 It was cleaned professionally five years earlier and in that time the sealer had started to wear down and the floor had become dirty again. 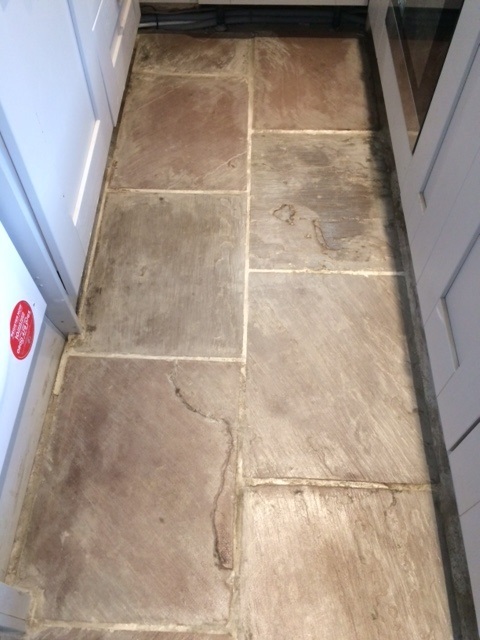 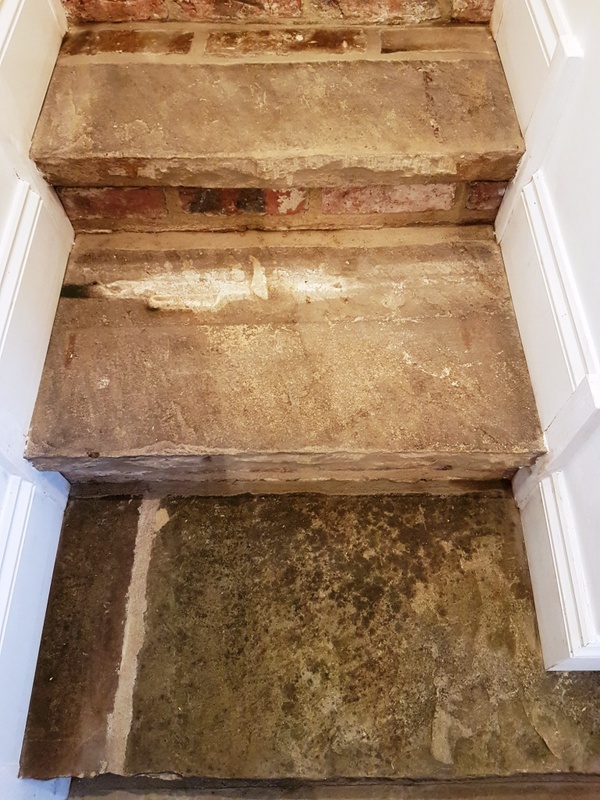 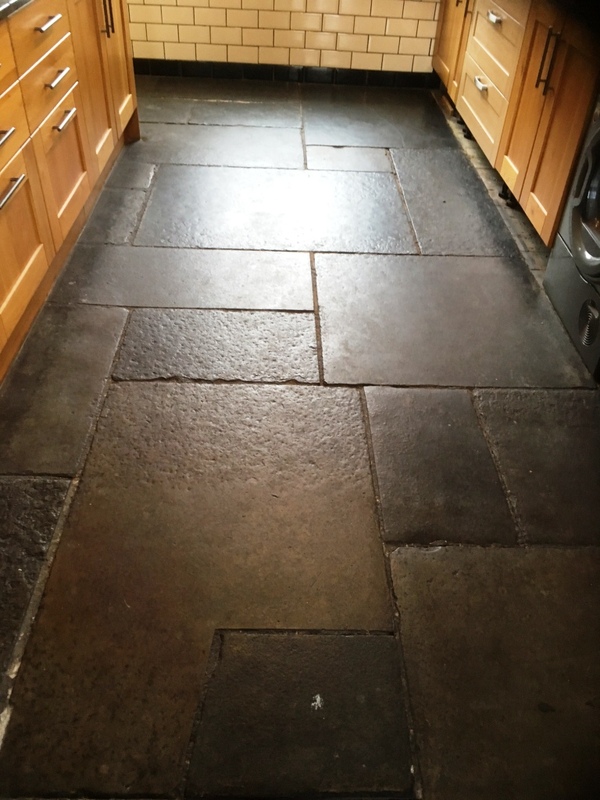 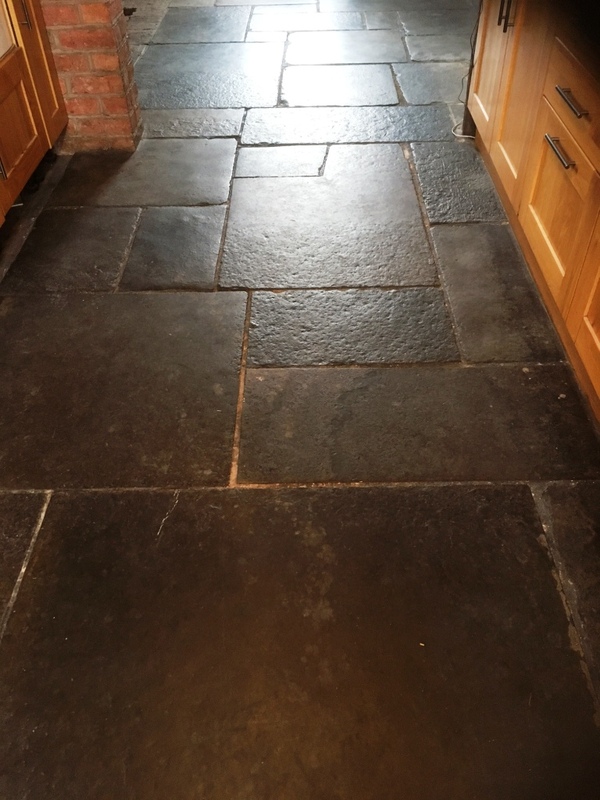 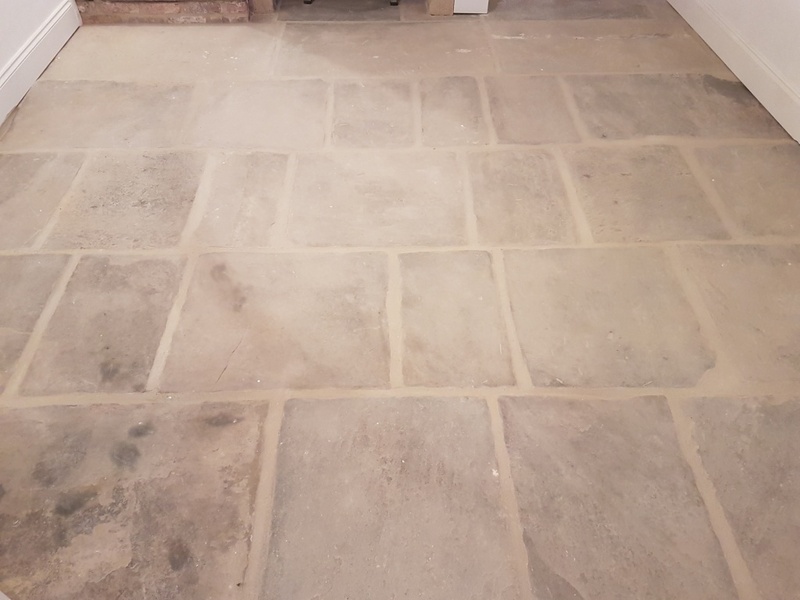 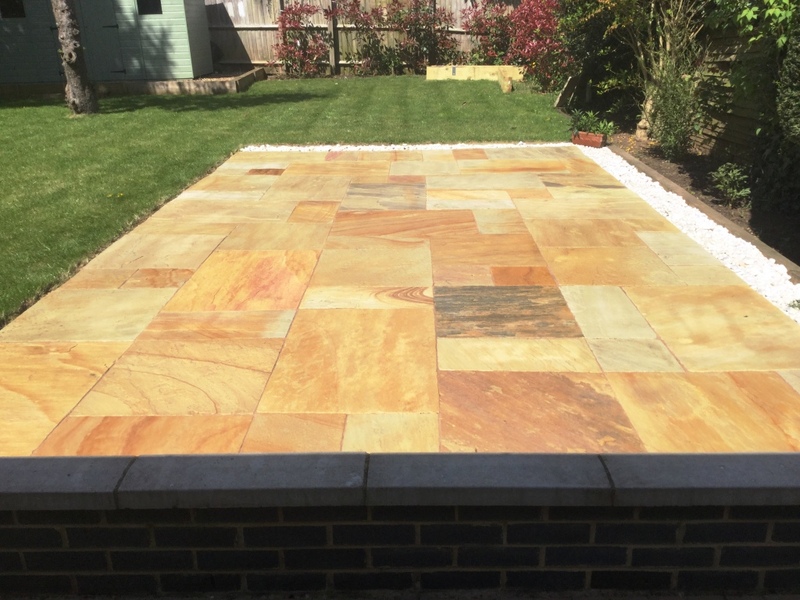 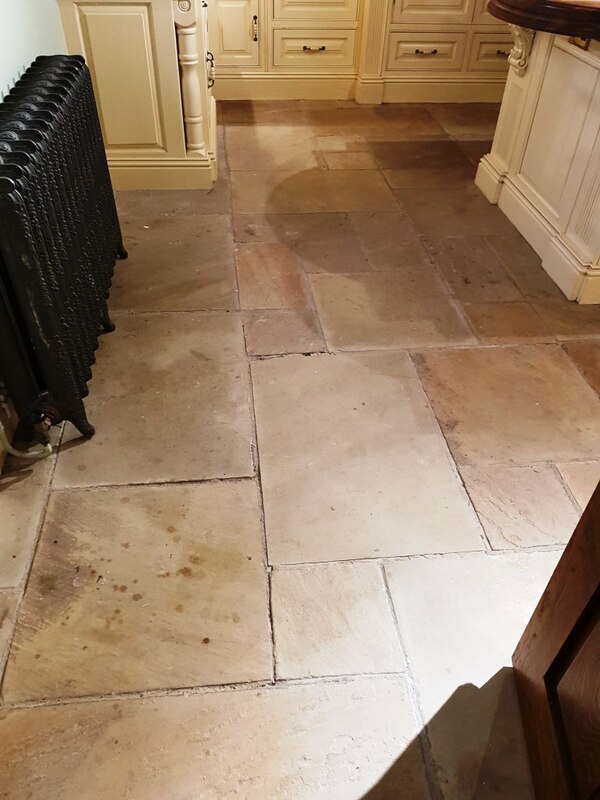 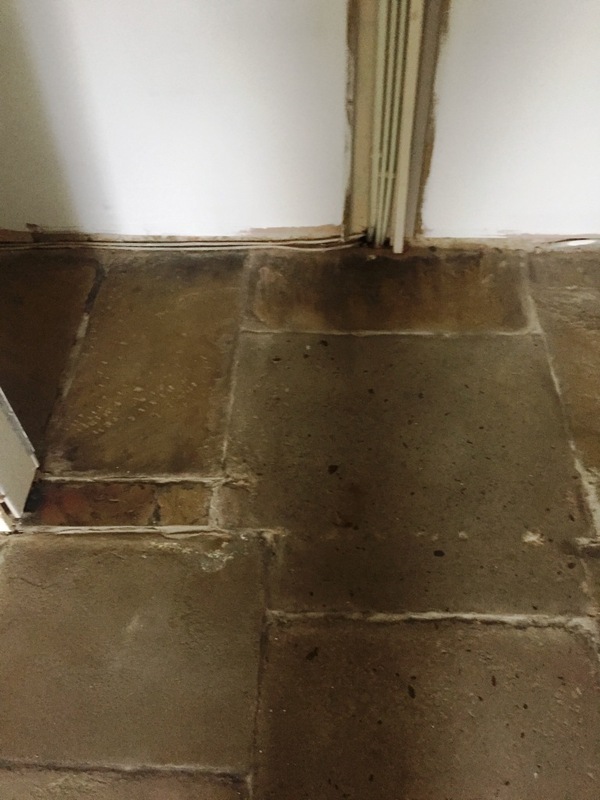 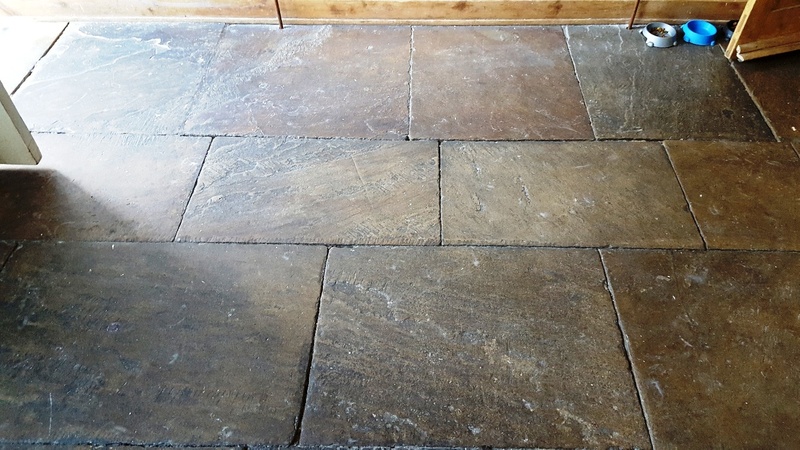 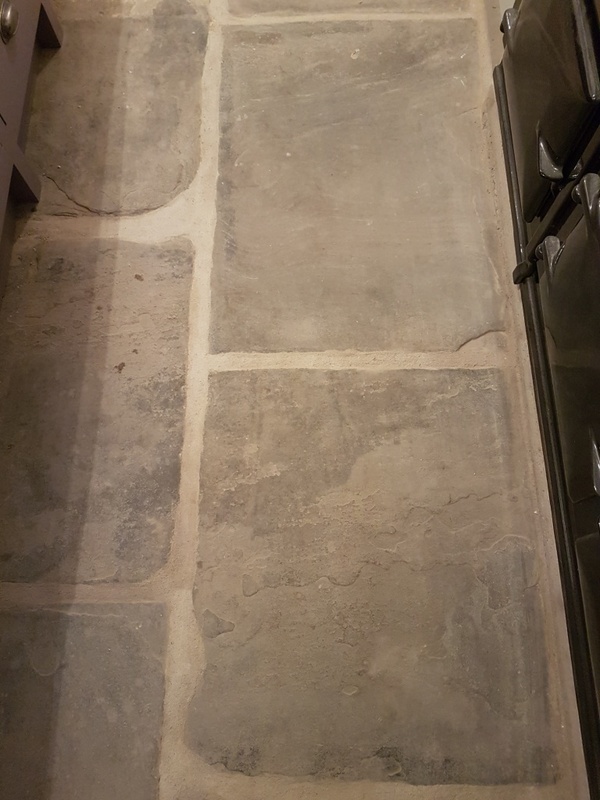 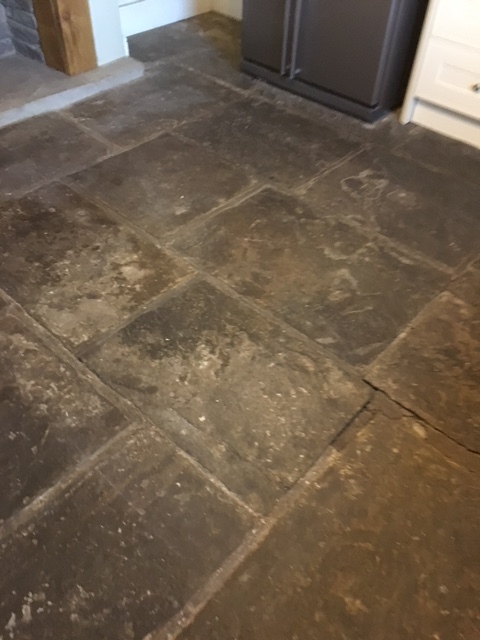 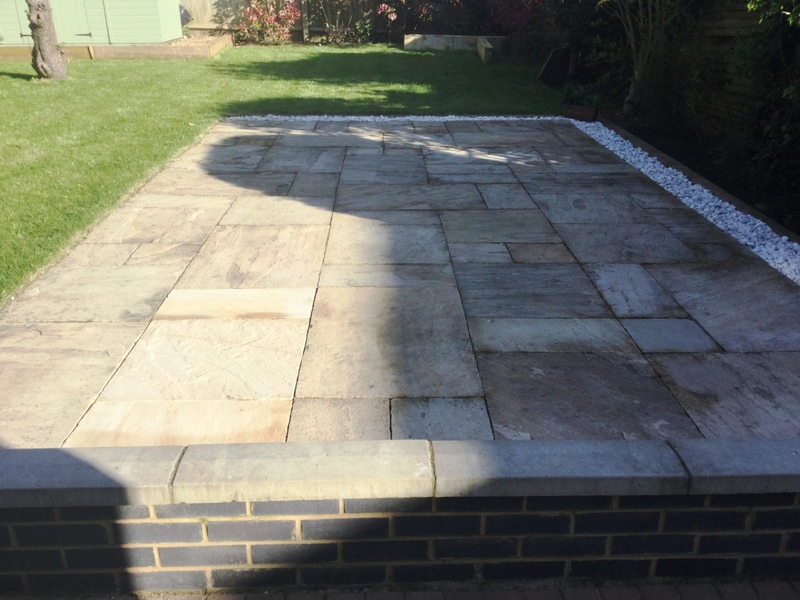 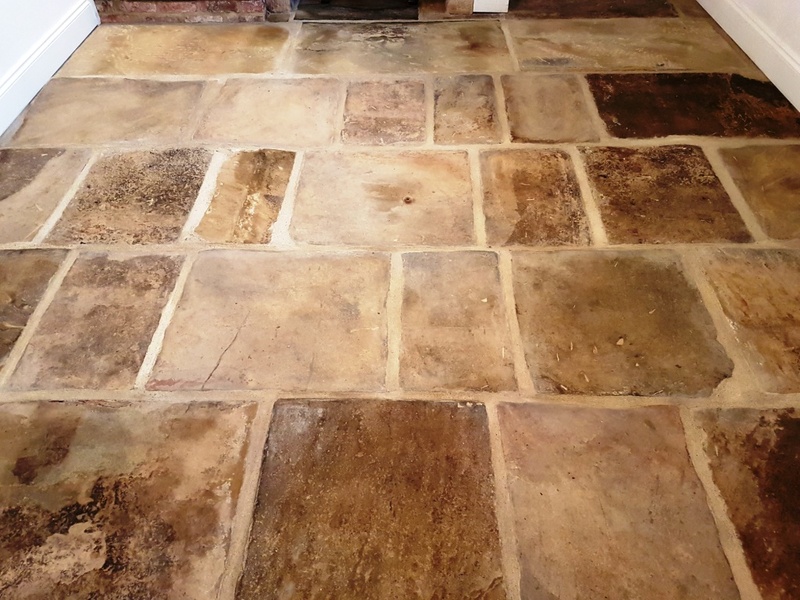 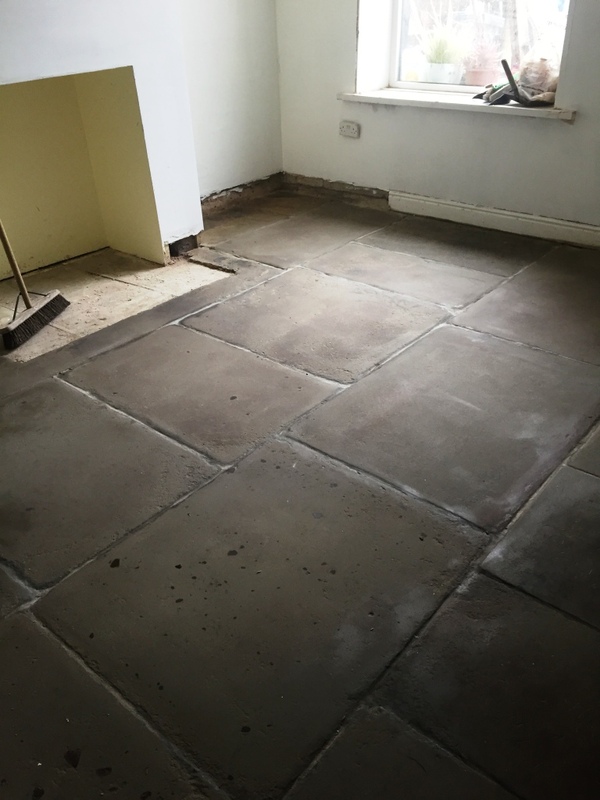 On top of that the rough nature of the Sandstone flagstones were shredding cleaning mops used to clean the floor so the customer decided it was time for a spring clean and arranged with us to have the floor cleaned and re-sealed. 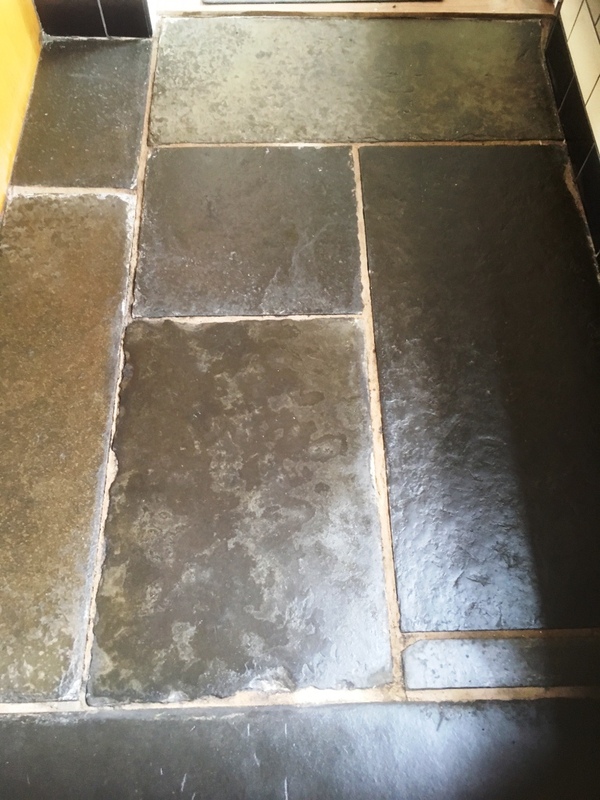 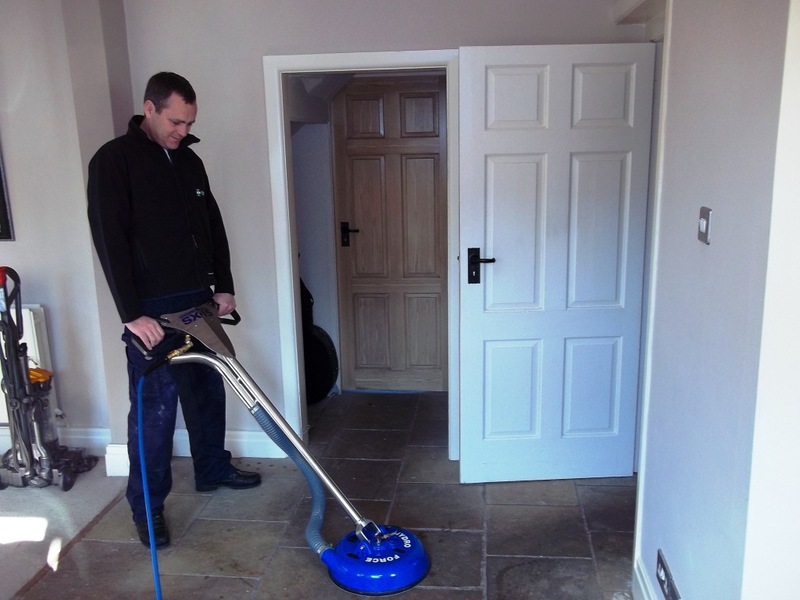 We cleaned the floor using Tile Doctor Pro-Clean diluted with 5 parts warm water and worked into the stone surface using a rotary machine fitted with a black scrubbing pad. 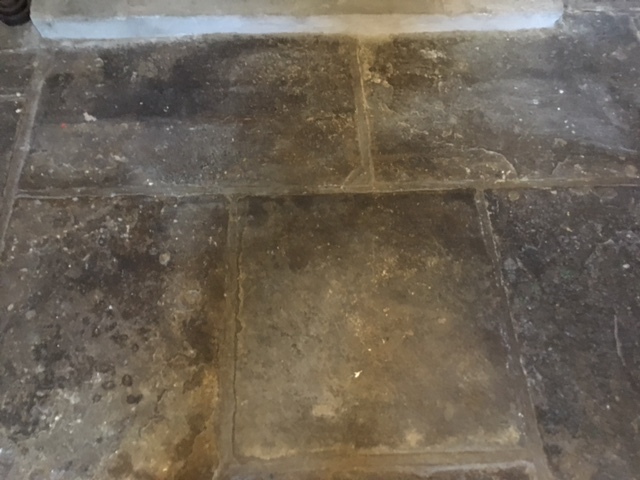 The soiled solution was removed with a wet vacuum and floor rinsed with clean water using a spinning tool which applies water under high pressure and removes it at the same time. 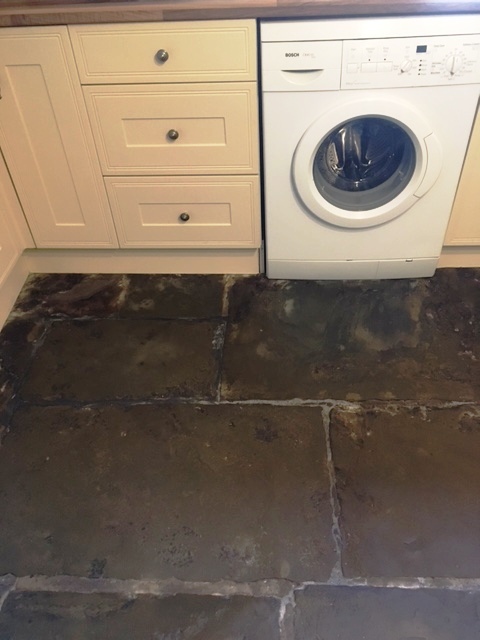 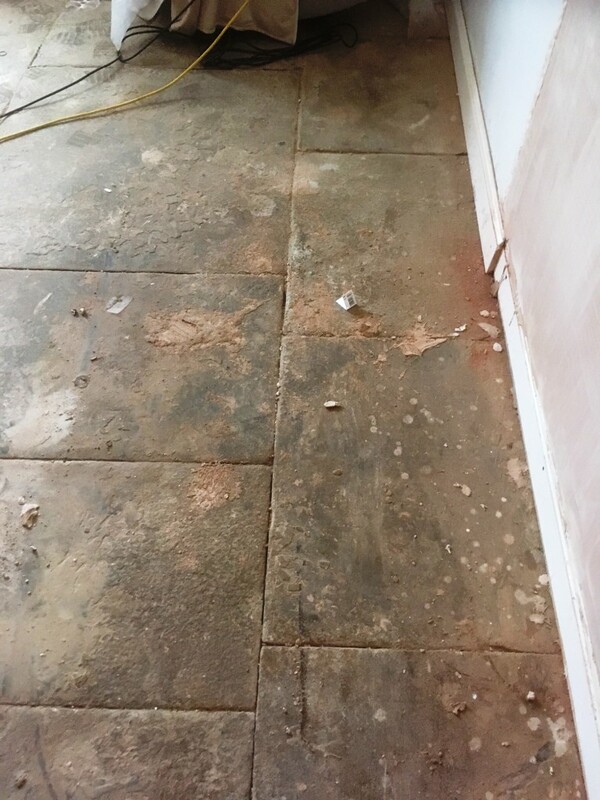 There were a few paint splashes evident so Tile Doctor Remove and Go was applied and left on the problem areas for about an hour which dealt with the problem and the floor washed down again with clean water applied with the spinner tool. 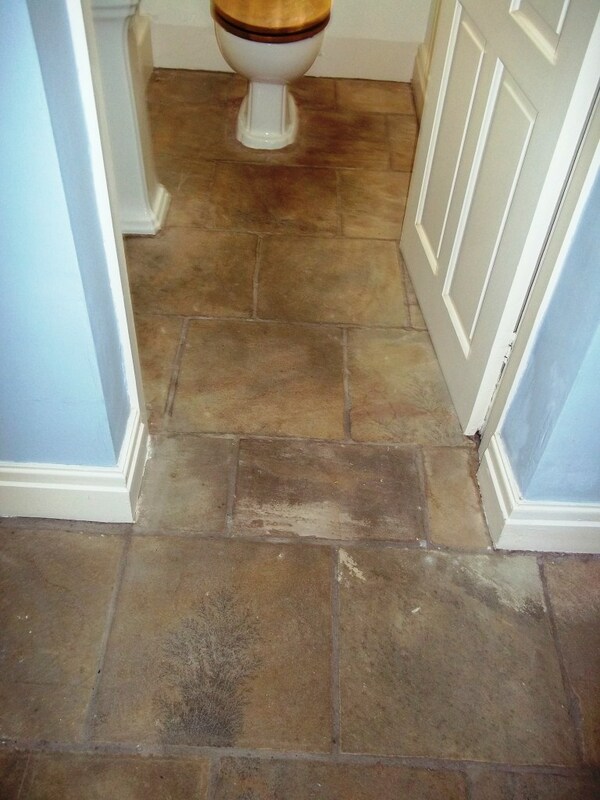 This process had taken most of the day so we then left for the evening allowing the floor to dry overnight. 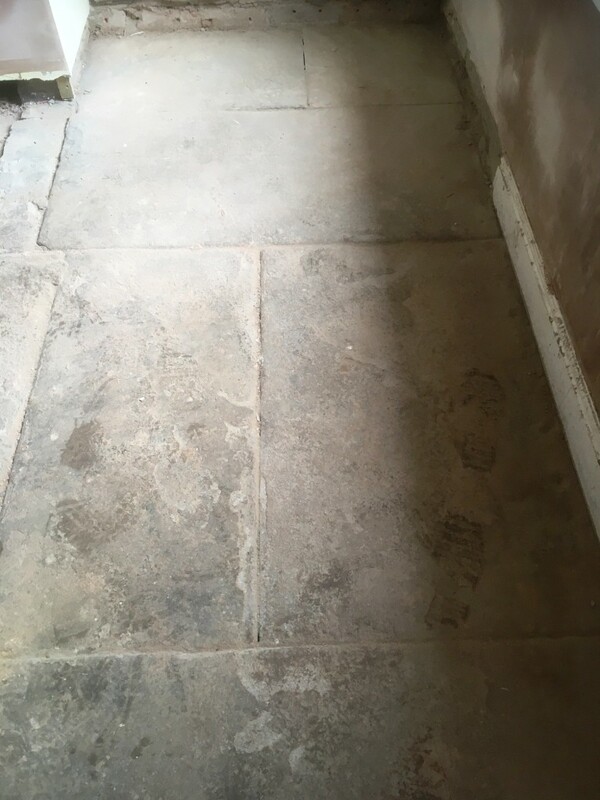 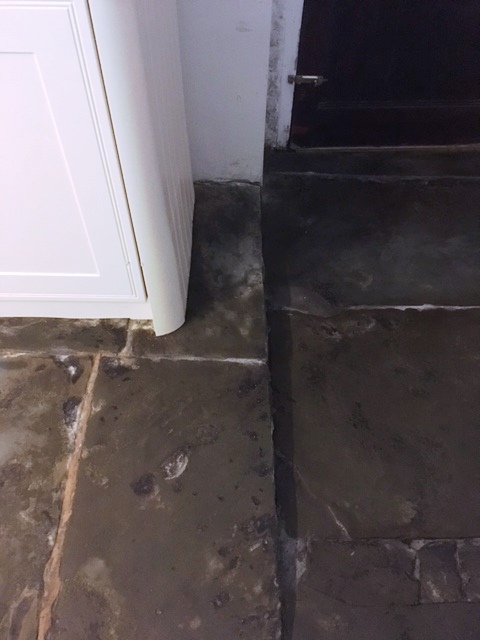 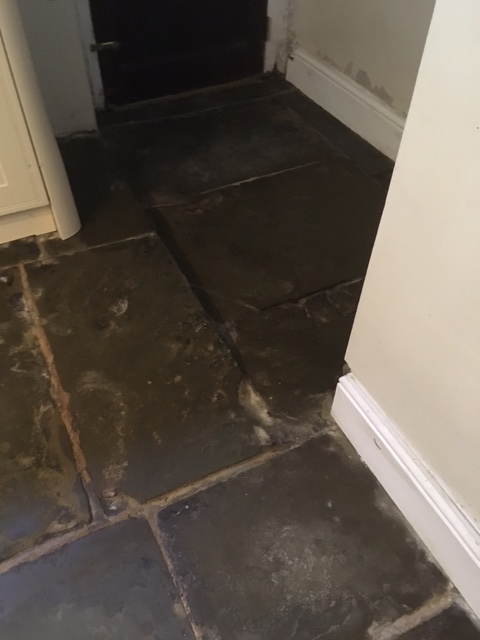 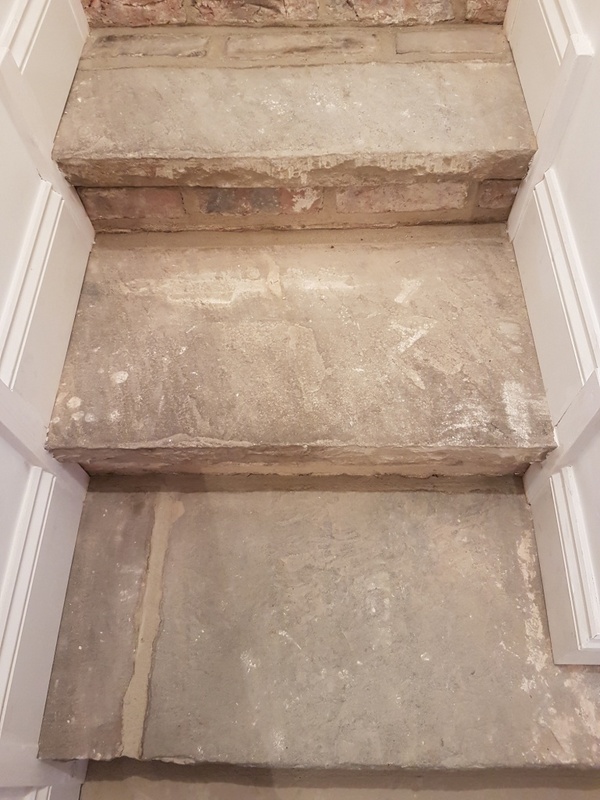 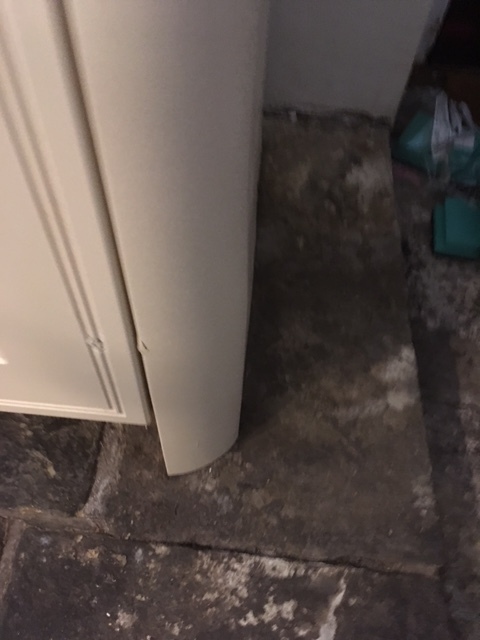 We came back the next day and tested the floor with a Stanley damp meter in a few different locations to make sure no dampness remained in the stone. 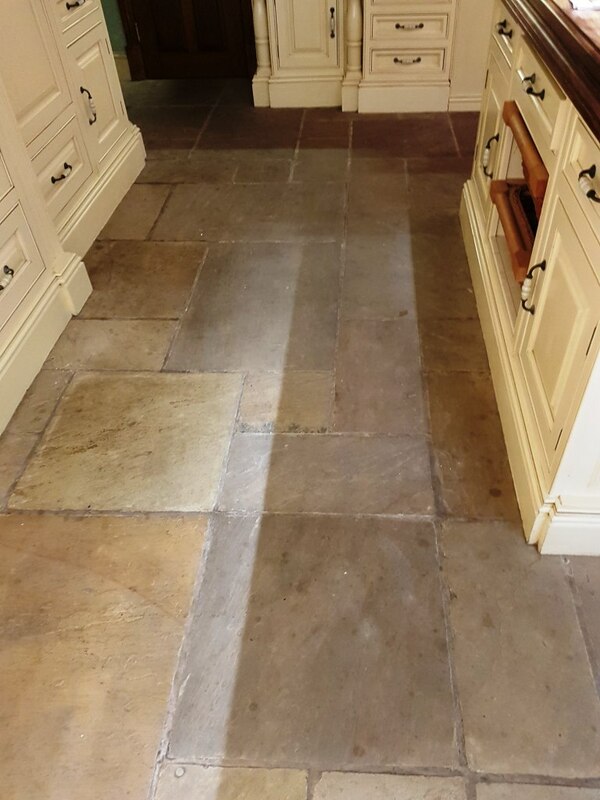 The sandstone was dry so we proceeded to seal the floor with Tile Doctor Seal and Go which offers a good level of protection as well as giving a nice low sheen finish. 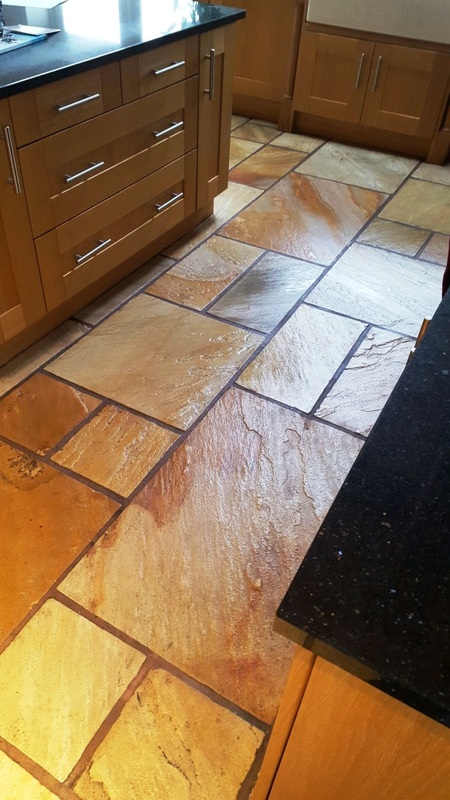 Sandstone is fairly porous so it took five coats of sealer to fully seal the floor, also Seal and Go is a topical coating so this has also taken the roughness out of the stone and resolved their mop shredding issue. 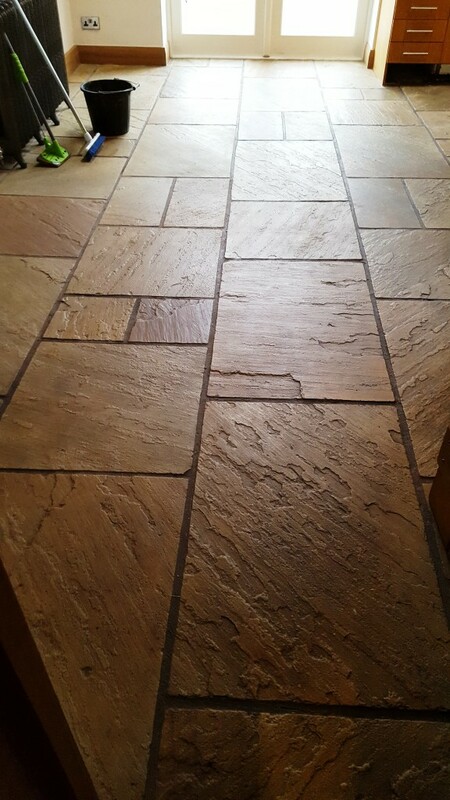 The floor was good to walk on several hours later.